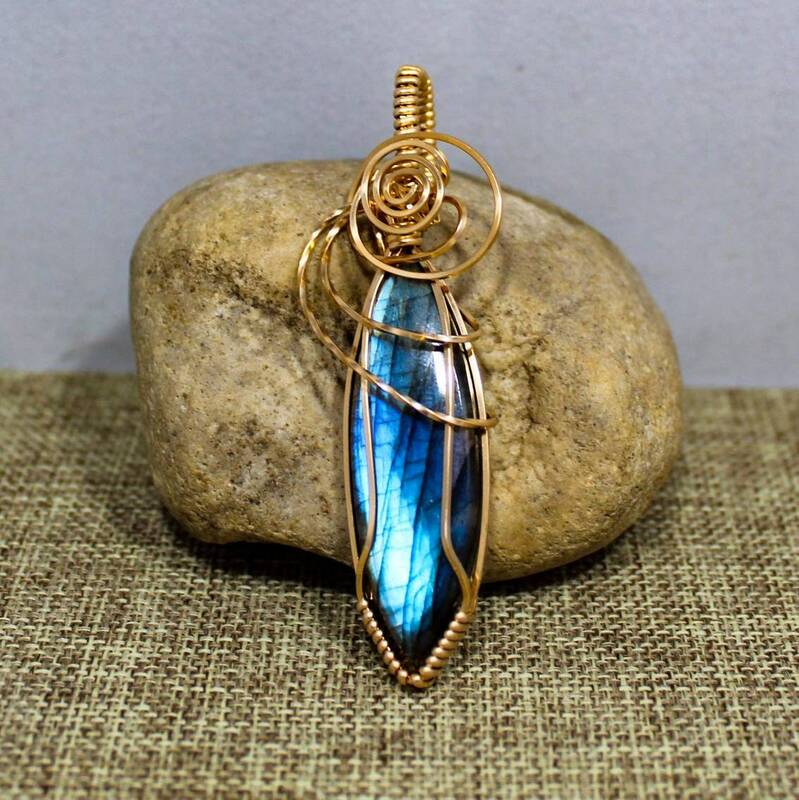 This handmade bronze wrapped labradorite pendant has a beautiful bright blue flash! 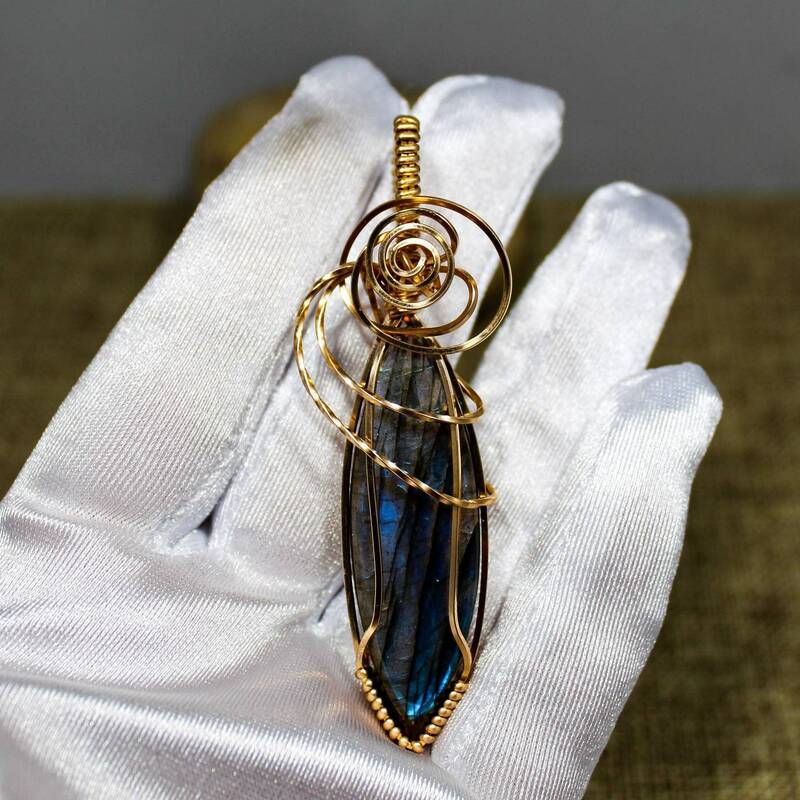 Please check out the rest of our handmade jewelry and our beard and hair care products! 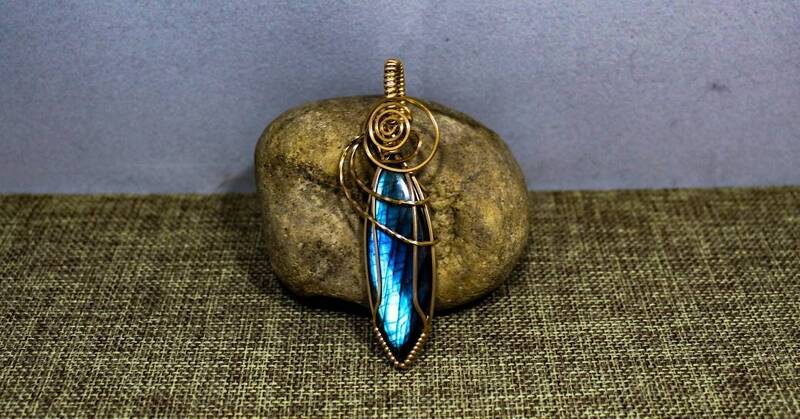 All pendants come with a cloth or leather necklace. They also pair perfectly with our Viking knit necklaces!